A delegation led by Israeli Ambassador to India, Mr Daniel Carmon met the Union Minister of State (Independent Charge) of the Ministry of Development of North Eastern Region (DoNER), MoS PMO, Personnel, Public Grievances & Pensions, Atomic Energy and Space, Dr Jitendra Singh, here today. Various issues of common interest including start-ups, food processing, innovation and technology were discussed during the meeting. Israeli Ambassador informed that a Centre for Agriculture, with collaboration of Israeli expertise, is going to be inaugurated in Mizoram on 7th March this year. This will be the first such centre in the North East region of India that is being established with Israeli collaboration, he added. Set up with a cost of Rs 8-10 crore, this centre is exclusively for processing of citrus fruits. The project has been set up with the tripartite collaboration of Ministry of Agriculture and Farmers Welfare, Government of India, Government of Israel and State Government of Mizoram. Israel will provide expertise knowledge and professional support. Though located in Mizoram, this centre will cater to the whole north east. There are 22 such operational centres in India including in the states of Haryana, Gujarat, Madhya Pradesh, Rajasthan and Punjab. The first centre was established in 2008 in Haryana. He said that in the long run, Israel wants to establish one such centre in each state. DoNER Minister Dr Jitendra Singh said that this centre is a beginning of the larger collaboration between the two countries in this area. The Ministry of Development of North Eastern Region (DoNER) will coordinate wherever required, he said. He further said that it will benefit the farmers of the north eastern region in the long run and will also encourage the farmers from other regions. 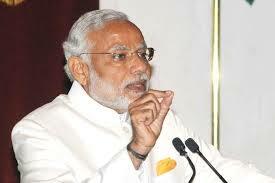 It will serve as a model of learning for other countries in Indian sub-continent, he added. He said that the Government under the leadership of Prime Minister Shri Narendra Modi, has given priority to the development of North Eastern region of the country. He said that Sikkim has been declared the first Organic State of India and Israel can look forward to this kind of collaboration there also. It will benefit the people of North East in the area of innovation, specially for start-ups, both sides agreed.